It’s no secret that the progression of the internet and the ever growing capacity of smartphones have made the general public much savvier when it comes to education, shopping, and even designing. Now, more than ever, individuals can navigate areas themselves where, before, they would have had to hire a professional. Certain websites and applications make what were once overwhelming and daunting tasks easy to manage, organize and complete. 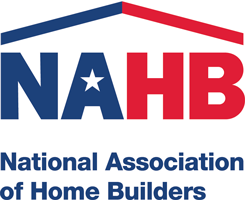 Anyone in the market for a new home build or a home renovation knows that overwhelming and daunting are definitely par for the course. 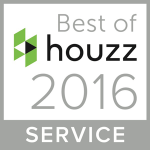 Enter Houzz, a homeowner’s new best friend! 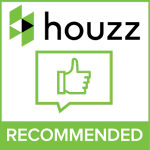 Houzz is a website that houses an online community centered around everything a homeowner could want: interior design and decorating, architecture, landscaping design, and various other home improvements. 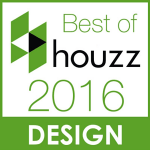 Houzz is free to use and is also available via mobile app. Galleries of ideas, directories of local professionals, and open forums all make home design a novice’s dream. Professional builders, like Monetti Custom Homes, even use this platform to help them create idea books for clients as a reference point and a guide throughout their design process. 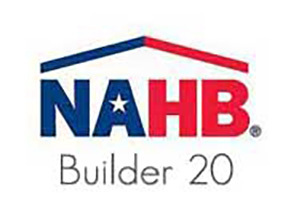 Not only can you build your dream home, but you can shop and hire local professionals, as well, without ever having to leave the platform. 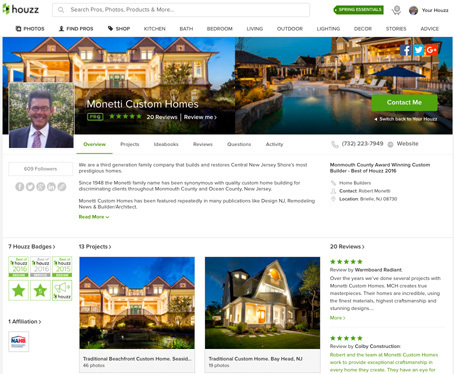 If you’re a homeowner looking to start from the ground up or to renovate, and you’ve never checked out Houzz, now is the time.